Why is the market in the red for the past week(s)? When is the best time to invest? Join us in this Crypto BloodBath Explanation! At the time of writing this post, the 24-hour price-change indicator of most of the top 100 coins was in the red (well, excluding a couple of course). Let’s analyse this and try to understand why this is happening. After a couple of months of relative stability and even lower volatility than the SP500, Bitcoin broke below $5,000 and is now sitting at $4,388 (at the time of writing we expect the downtrend to continue). A conjugation of a bear market trend together with the controversy around the Bitcoin Cash (BCH) HardFork, with new SEC investigations and the reports of declining sales from NVidea and AMD, may be some of the reasons for this erratic behaviour. The controversy surrounding BCH’s Hard Fork is no new news (if this makes sense). 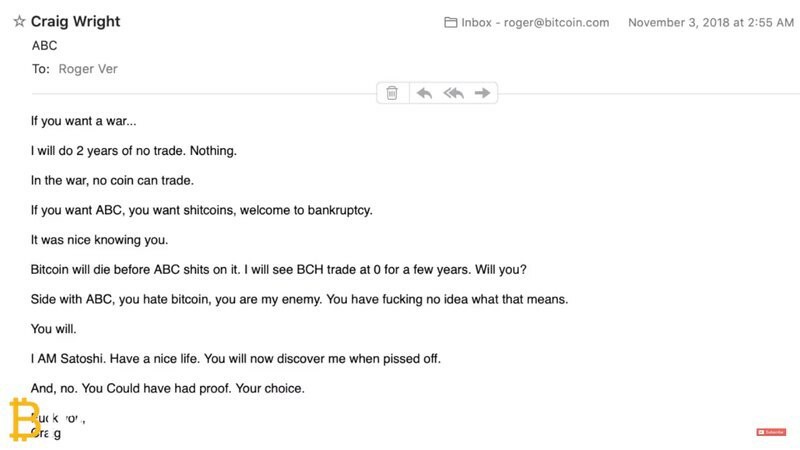 BCH in itself has been surrounded by controversy and volatility. 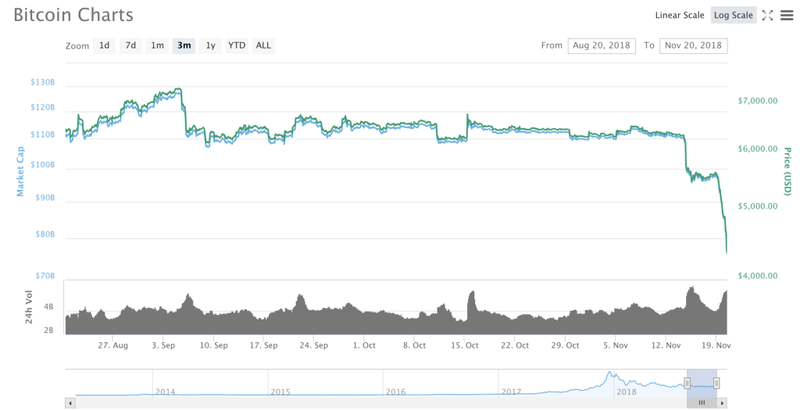 Despite this, since its inception, it has grown to become the fourth largest cryptocurrency by market cap. The controversy with this hard fork derives from the fact that the network will be split in two (as it normally is), however, only one can remain the real Bitcoin Cash. So… which one is it? Right… ergo the civil war. Until someone came up with Bitcoin Unlimited — that is trying to compile both version’s features in one! Do you think this is it? Well… think again. The problem is not too many incompatible versions… It is the lack of agreement from the community. Ouch right? Well… this entire public “disagreement” (a very soft word for what is happening) has taken its toll not only on BCH’s price but in other coins as well. Especially when big crypto platforms such as Coinbase has frozen the trade of BCH. The SEC has announced that it reached settlements with Airfox and Paragon Coin. These projects issued securities through ICOs after this Summer’s landmark report by the SEC strictly forbidding it. These new regulations aren’t new. That is why many Crypto projects fund themselves by generating utility tokens, thus protecting contributors. This may seem quite trivial fines applied to projects who did not follow regulations, hence should not have had such a negative effect in the market. However, analysts are predicting this to be just the beginning of a tighter scrutiny into Crypto Projects and this may be helping the negative trend. Nvidea and AMD (chip-manufacturers) recent reported an abrupt sales decline of crypto-related hardware. The report also suggests that this is a clear indicator that the interest in crypto has fallen, and it is not likely to pick up anytime in the near future. Do these mean that the price of crypto assets will keep going down? Hard to track your portfolio? Would like to keep up with your scattered crypto? ORCA’s PYGMY will be launching soon and will, at a first instance, allow you to be on top of real-time crypto price changes! Start by reading some of our stock market tips for newcomers!